Kenneth J. Robinson boasts a proficiency for handling a wide range of business and family immigration matters. Ken regularly represents employers including start-up entities; Fortune 500 companies; engineering, design and architecture firms; universities; allied health care institutions; foreign investors; athletes; and entertainers on a wide variety of employment-based immigration matters. Ken counsels his clients on temporary (visa) and permanent (green card) immigration options and strategies to help them secure highly sought-after foreign national talent. Ken’s experience also includes advising employers on their I-9 compliance matters. Ken’s expertise in immigration law matters has not gone unnoticed. 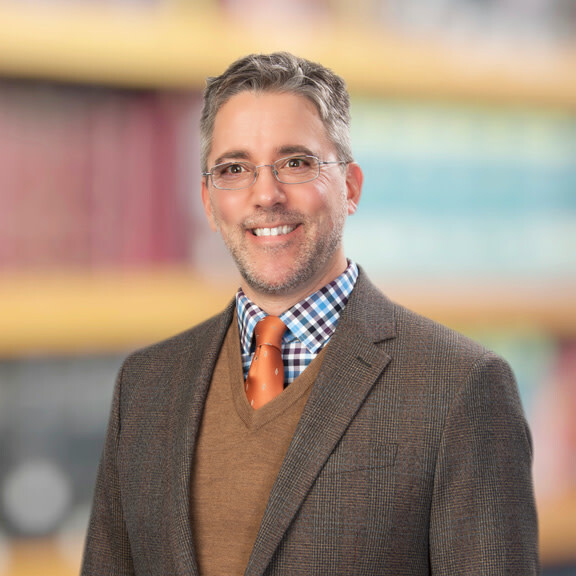 Since 2003, he has served as Special Counsel to the Office of the Ohio Attorney General on immigration law and as an adjunct professor of immigration and nationality law for Capital University’s Paralegal Program. Ken regularly makes time to share his knowledge with other colleagues and legal professionals at various Bar Associations, Rotary Clubs, business groups, universities, local Chambers of Commerce, the Employers Resource Association and social service organizations. Additionally, publications such as the Columbus Dispatch, Columbus Business First and The Daily Reporter look to him for information on a variety of immigration issues. In addition to his immigration practice, Ken also acts as an advisor and sports agent to athletes playing elite hockey in development leagues and in the NHL, as well as helping other professional athletes on various legal matters. Ken is one of less than 90 U.S.-based agents certified by the National Hockey League Players Association as a Player Representative. Partner, Hahn Loeser & Parks, 2018-present. Special Counsel to the Office of Attorney General, State of Ohio, 2003-present. Past Consultant to the Government of Mexico, Consular Affairs. NHLPA Certified Sports Agent, Edge Sports Management, LLC, 2010-present. Partner and Founding Member, Slowik & Robinson, LLC, 2003-2018. Associate, Lane, Alton & Horst, 2002-2003. Associate, Vorys, Sater, Seymour and Pease LLP, 2000-2002. Why Professional Athletes Might Want the New Tax Law Benched! Community Refugee Immigration Services, Past President of Board of Trustees.